Enjoy Utah! : Friday The 13th Activities! Today is the infamous Friday The 13th! Are you superstitious? Do you consider today an unlucky day where you probably should just stay in bed? There are some that even consider today a lucky day! Activities and Events:Below are some events and activities you can participate in today for Friday the 13th. If you know of one we have forgot, please email us at contact@enjoyutah.org and we will add it to the list. Grimm Ghost Tours Paranormal Investigation - Grimm Ghost Tours in Salt Lake City is hosting a paranormal investigation at the Rio Grande Depot. Their experienced paranormal investigators will teach you about paranormal investigation techniques and let you experience first hand what its like to be a ghost hunter. Bring your camera and a digital recorder because you never know what might show up. Don't worry if you have never been on an investigation before, their experienced paranormal investigators will teach you all the information you will need to get started. For more information visit their website or contact them at (801) 508-GRIM. "Mountain 13" in Tooele County - A Utah urban legend that has been around for generations is the mysterious 13 on the mountain above Stansbury Park in Tooele. What is this 13 and how did it get there? Read all about it, and take a trip out to visit it to decide for yourself. Castle Of Chaos - Castle of Chaos in Riverdale will be open tonight for those wanting to get spooked in Friday the 13th. Indie Ogden has all your details. Fear Factory - Fear Factory in Salt Lake City will be open today and tomorrow in a factory that has real ghosts! ABC4 has all your details. Friday The 13th movie: There are still Blockbuster Video stores open where you can rent the Friday The 13th movie. It is also available as an instant watch on Netflix! Make it a movie and popcorn night tonight and stay inside where it's "safe"! Scary movie night at the Drive-In: Are you looking to get scared this Friday the 13th? Head to the Redwood Drive-In to see The Cabin In The Woods. 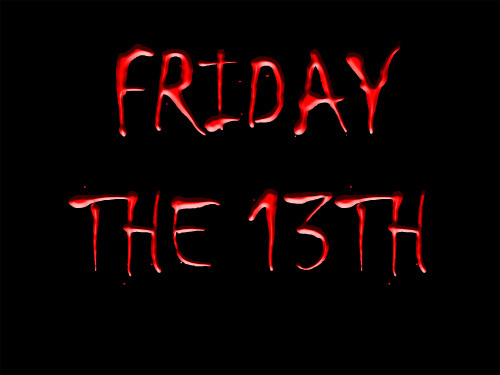 About Friday The 13th: Paraskevidekatriaphobics is the name for people that are afflicted with the fear of Friday the 13th. The sixth day of the week and the number 13 both have foreboding reputations said to date from ancient times. It seems their inevitable conjunction from one to three times a year (there will be three such occurrences in 2012, exactly 13 weeks apart) portends more misfortune than some credulous minds can bear. According to some sources it's the most widespread superstition in the United States today. Some people refuse to go to work on Friday the 13th; some won't eat in restaurants; many wouldn't think of setting a wedding on the date. How many Americans at the beginning of the 21st century suffer from this condition? According to Dr. Donald Dossey, a psychotherapist specializing in the treatment of phobias (and coiner of the term paraskevidekatriaphobia, also spelled paraskavedekatriaphobia), the figure may be as high as 21 million. If he's right, no fewer than eight percent of Americans remain in the grips of a very old superstition. Exactly how old is difficult to say, because determining the origins of superstitions is an inexact science, at best. In fact, it's mostly guesswork. 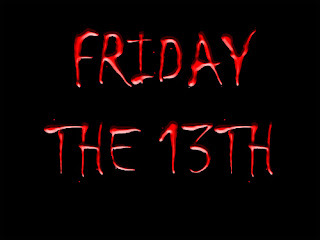 Read more about why Friday the 13th is unlucky on Wikipedia.